aieee.jumbotests.com : This amazing website offers genuine jee mains help to students who are looking to prepare for the tests after their 12th. What’s interesting is that they provide free study material, which is bifurcated into different sections to cover the entire syllabus. tcyonline.com : This site offer free jee mains question papers that the students will highly appreciate. When you’re out there preparing for your exams, there’s nothing that can be of great help than solved question papers and even sample test examples. studyadda.com : Well, how about some discussion with industry experts, while learning online? Sounds great, isn’t it? Candidates can now simply enjoy participating in good discussions while expressing their views as well. Eventually, you get to attain all jee mains study material including added coaching from specialists in the field. askiitians.com : JEE main exam is definitely one of the most anticipated exams for students after completing their 12th science. The website is powered by the IITians that happen to be some of the best minds in engineering. The test papers are skillfully prepared keeping in mind the exam standards. Adequate assistance in this regard and Career Guidance after 12th is what makes the website entirely unique. 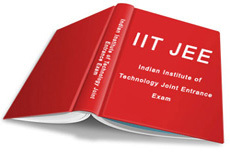 kshitij-iitjee.com : There is nothing like obtaining some free sample papers jee mains while studying for the exam. This website exhibits some of the previous year questions and other sample study papers exclusively for candidates looking to hit success in their exams. They compile the probable questions that have the maximum possibility of appearing for the exams. minglebox.com : Next in line is the popular minglebox jee main preparation website that is good to obtain all test questions and sample papers for practice, all for free. Candidates will just have to register and then they’re good to go. Just download the pdf and then induce into your study material right away! questtutorials.com : If you’re looking for free study materials, then it’s absolutely here that you need to head to. There is a galore of solved sample papers that you can avail for free. These are the latest jee main free download that comprises of all the previous year questions. myengg.com : It is the ideal website for aspiring engineering students that can attain genuine sample papers and other resources online. You can also get to know all about the exam, jee mains eligibility and more. aieee.examcrazy.com : The website offers JEE main and jee advanced practice papers with online mock tests and free study materials. These are the most craved sample exams papers for Courses after 12th Science. onlineexamonline.com : This is a website that offers extensive facility to avail some good science sample papers that is suitable to prepare for the jee mains entrance exam.